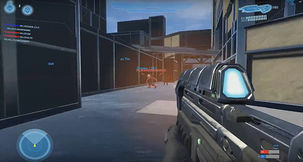 The only Halo games to be released on PC were Halo: Combat Evolved and Halo 2, though Russians are enjoying a form of it called Halo Online, which was in closed beta back in March. It seems fans are tired of waiting for Microsoft to port a new Halo to PC, so they're making their own called Installation 01. While Microsoft's Games for Windows Live client is in its death rows there are many futures left uncertain, like all those GFWL infested games still out there. What becomes of them once the beast is slain? A list has been compiled by Joystiq on what's happening with various titles by publishers and studios. The future is bright for some, not so blinding for others. 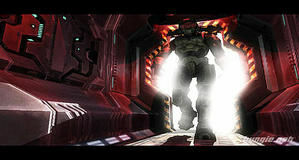 Is Ridley Scott of Alien fame behind a new attempt at getting Halo on the big silver screen? No. 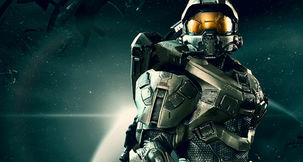 Microsoft has negatively shook their corporate head at the idea, saying they have "no plans for a Halo motion picture". Why would Microsoft share all that money from a big motion picture with a major studio? The corporate giant instead continues to explore "many elements," like TV and toys. An employment position for a senior software development engineer with Microsoft Studios reveals they're working on something for PC. Specifically they're working on something for Windows 8. The project involves a "robust and highly scalable cloud service that is central" to the game. Phil Spencer says they're "starting to look at bigger and core gamer things" for PC.